The most widely-used anatomy atlas in the world! Dr. Netter's outstanding artwork demystifies this often intimidating subject, helping students to understand anatomy and how it applies to medicine. Now with a stronger clinical focus than ever before, it captures anatomy the way it is most frequently seen in practice with many more diagnostic imaging examples. "This book is illustrated with countless of detailed diagrams by Frank netter and it is detail, charm and clarity of these diagrams that is very much the strength of the book." Frank H. Netter was born in New York City in 1906. He studied art at the Art Students League and the National Academy of Design before entering medical school at New York University, where he received his Doctor of Medicine degree in 1931. During his student years, Dr. Netter's notebook sketches attracted the attention of the medical faculty and other physicians, allowing him to augment his income by illustrating articles and textbooks. He continued illustrating as a sideline after establishing a surgical practice in 1933, but he ultimately opted to give up his practice in favor of a full-time commitment to art. After service in the United States Army during World War II, Dr. Netter began his long collaboration with the CIBA Pharmaceutical Company (now Novartis Pharmaceuticals). This 45-year partnership resulted in the production of the extraordinary collection of medical art so familiar to physicians and other medical professionals worldwide. Icon Learning Systems acquired the Netter Collection in July 2000 and continued to update Dr. Netter's original paintings and to add newly commissioned paintings by artists trained in the style of Dr. Netter. In 2005, Elsevier Inc. purchased the Netter Collection and all publications from Icon Learning Systems. There are now over 50 publications featuring the art of Dr. Netter available through Elsevier Inc.
Dr. Netter's works are among the finest examples of the use of illustration in the teaching of medical concepts. The 13-book Netter Collection of Medical Illustrations, which includes the greater part of the more than 20,000 paintings created by Dr. Netter, became and remains one of the most famous medical works ever published. 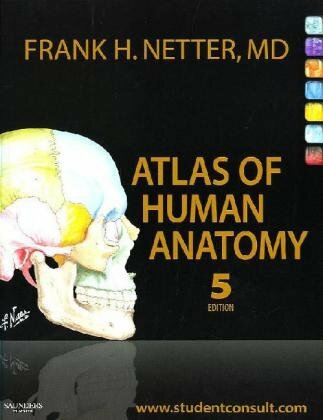 The Netter Atlas of Human Anatomy, first published in 1989, presents the anatomic paintings from the Netter Collection. Now translated into 16 languages, it is the anatomy atlas of choice among medical and health professions students the world over. The Netter illustrations are appreciated not only for their aesthetic qualities, but, more importantly, for their intellectual content. As Dr. Netter wrote in 1949 "clarification of a subject is the aim and goal of illustration. No matter how beautifully painted, how delicately and subtly rendered a subject may be, it is of little value as a medical illustration if it does not serve to make clear some medical point.” Dr. Netter's planning, conception, point of view, and approach are what inform his paintings and what make them so intellectually valuable.